The majority of shooters will benefit by introducing stress into their gun training sessions. Incorporating stress in firearms practice is not appropriate or recommended for new shooters or those familiarizing with, or sighting in, a new firearm; new shooters should, instead, focus on gun handling, as we discuss in articles like the one Mia Anstine wrote. These conditions require slow and methodical shooting to ensure safety, acquiring a proper sight picture, and development of shooting fundamentals. However, once a shooter determines his zero, becomes proficient with the functions and features of the firearm, develops muscle memory, and consistently demonstrates solid marksmanship skills, they should begin to incorporate stress in their training regiment. This is especially true when the shooter's goal is to carry the firearm concealed, to use it for home protection or in competition. Gun clubs have no shortage of shooters that seem perfectly content with standing in front of a target and shooting at a comfortable speed and distance. To watch shooters waste precious ammunition shooting under low stress conditions is painful. The fact is that this training method will not yield any significant improvements in performance. It amounts to a poor return on investment when the cost of ammunition, club memberships, gas, gear and time is calculated. Plus, shooters that leave the range with a perfect target leave with a false sense of accomplishment and of their abilities, which is dangerous. Unfortunately, the phenomenon of safe and comfortable shooting doesnt just occur on civilian ranges. From personal experience there is a whole lot of wasted ammunition and time on law enforcement ranges as well. All of the aforementioned issues are negatively impacted by stress. If under normal conditions a shooter struggles with these areas, one can only imagine the results in a deadly force situation. When faced with any of the 'hiccups' listed, the response is typically that of shock and disbelief. Once they acknowledge what happened, shooters begin to address the obstacle. In stressful shooting situations their response is almost always the same, they begin to shoot faster than their capabilities allow. In all honesty, watching shooters crumble on the line is like watching a scary movie  you cover your eyes because you don't have to watch... but you end up peeking anyway. Stress can be positive. It can result in physiological changes that bring out our best and it can actually save lives, if the individual has prepared. If they havent, they will likely experience distress and panic. This leads the individual to freeze,' or in other words, become paralyzed with fear. Not reacting to a threat can endanger the victim. During critical incidents, mental focus hinges on the ability to overcome stress and respond to the situation as it unfolds. Most law enforcement trainers and firearms instructors know that not reacting to a threat can translate to death or great bodily harm for the officers, or others. 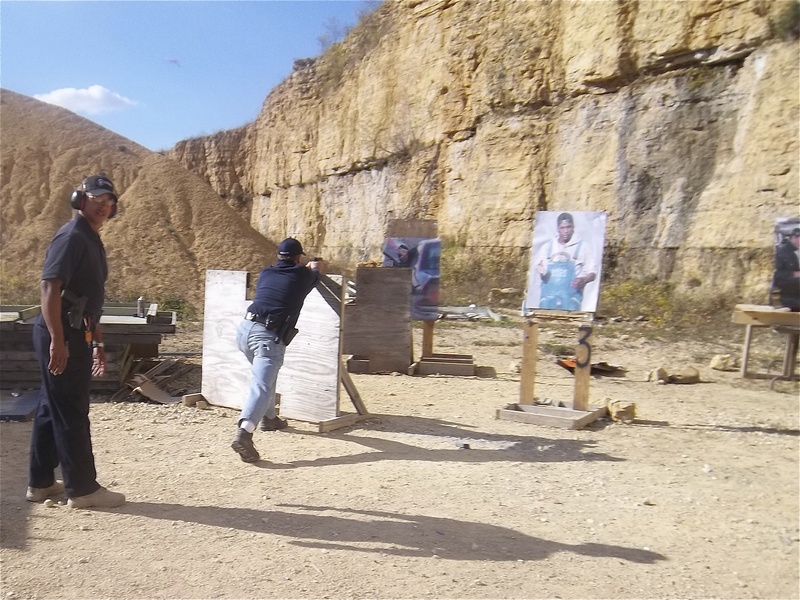 For this reason, many law enforcement firearms training programs are incorporating techniques that induce many of the same physiological symptoms that officers experience in such situations. In order to achieve proficiency with any firearm, gun owners need to invest their own time and money above and beyond what is required by law - or department policy. Many police agencies offer minimal firearms training - many times less than 40 hours a year. Contrary to popular belief, this results in neither competence nor confidence. That can only be accomplished with a personal commitment to train consistently and effectively. The best-case scenario for failing to inoculate against stress could be as minor as losing a competition (and subsequently losing your pride) but more important is the worst-case scenario, which can be far more ominous. Read more in the second article of this series, where I provide techniques for incorporating stress into your firearms training.